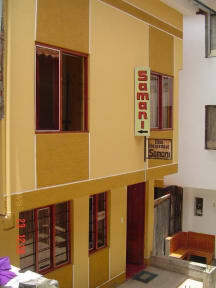 Hostal Samani i Cusco, Peru: Reservér nu! 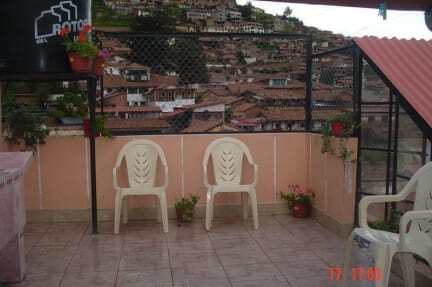 We are located in the historic center of Cusco, five minutes walk from the Plaza de Armas, in the traditional neighborhood of San Cristobal, next to major hotels in Cusco such as the Hotel Monasterio Hotel Archaeologist, Hotel Casa Cartagena among others. We offer a family atmosphere, where peace and security are assured. To make your stay pleasant and comfortable we offer cafeteria services, laundry, luggage storage and Internet. Rooms have hot water 24 hours a day. Kitchen facilities are at your disposal. The warmth in the care of our customers have deserved to be published in guidebooks which commits us to further improve the quality of our services. Welcome to the Imperial City of Cusco, Archeological Capital of America and site of one of the Seven Wonders of the World .... Machu Picchu!